Garrett found the investing side of the business fascinating, so he joined the Jacksonville Real Estate Investors Association to soak in all the knowledge he could. 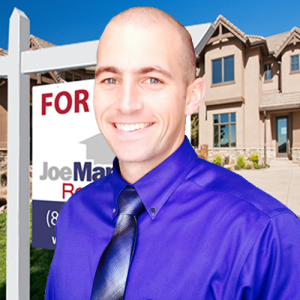 When presented with the opportunity to join Joe Manausa Real Estate, he jumped at it and never looked back! He lives in Tallahassee with his beautiful wife Meghann, who he married in the spring of 2012 in Fernandina Beach, FL. Garrett was appointed to Annapolis in 2009 where he majored in Oceanography, and became the president of Navy Club Powerlifting. Under his leadership, the powerlifting team FINALLY beat Army during his senior year (How do you like them apples?!). But in all seriousness, he enjoyed his 4 years on the banks of the Severn tremendously and will never forget all of the lifetime friends he made there. Go Navy! Garrett is originally from the small town of Sinton, TX (30 miles north of Corpus Christi). He played football and golf in high school, and was also an All-State Drummer. He’s been a devout Dallas Cowboys and Notre Dame Fighting Irish fan for as long as he can remember.